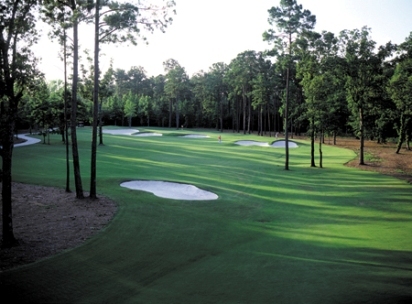 Bentwater Yacht & Country Club is a Private,54 hole golf facility located in Montgomery, Texas. The facility has three championship 18 hole courses. They are The Miller Course, The Weiskopf Course, and The Grand Pines Golf Club. The course opened in 1989. The course was designed by Jay Morrish and Tom Weiskopf. The signature hole on the Weiskopf Course is #12, a 434-yard, par 4 featuring a split fairway. 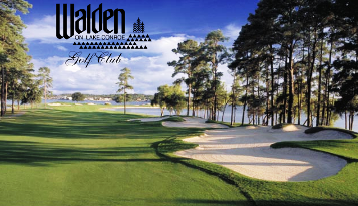 As you stand on the tee box, you must choose between an open shot down the left fairway that brings Lake Conroe into play on the 2nd shot, or the narrow fairway on the right, leaving a more open shot to the green. It's no wonder that this course is a favorite of the designer, Tom Weiskopf. In addition to the memorable #12 is #14, a par three offering a picturesque setting, perched on the water's edge from tee to green.